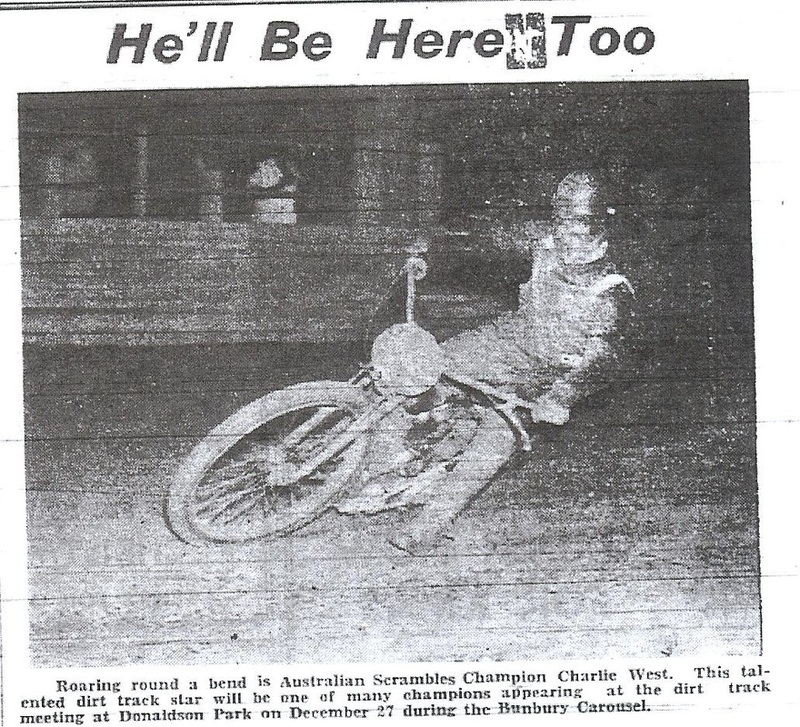 On Saturday the 27th of December 1958 the directors of Claremont Speedway Pty Ltd held a speedway meeting at the Bunbury Trotting venue, This meeting was part the Bunbury Carousel weekend event, Racing consisted of Solo Motorcycles, Tq Speedcars and Cycle racing. 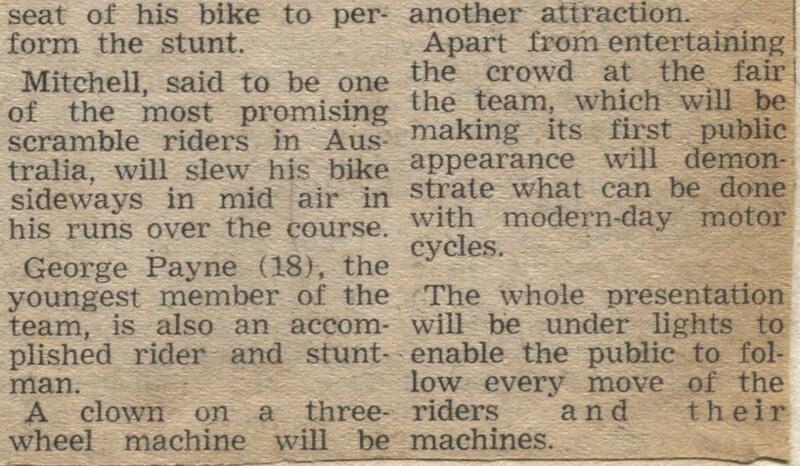 Allan Blake recalls: as a young kid and way before my speedway days, I entered my pushbike and myself into the speedway meeting held at Donaldson Park, the day did not end up so good for me as I high sided the bike and woke up in Bunbury Regional Hospital. 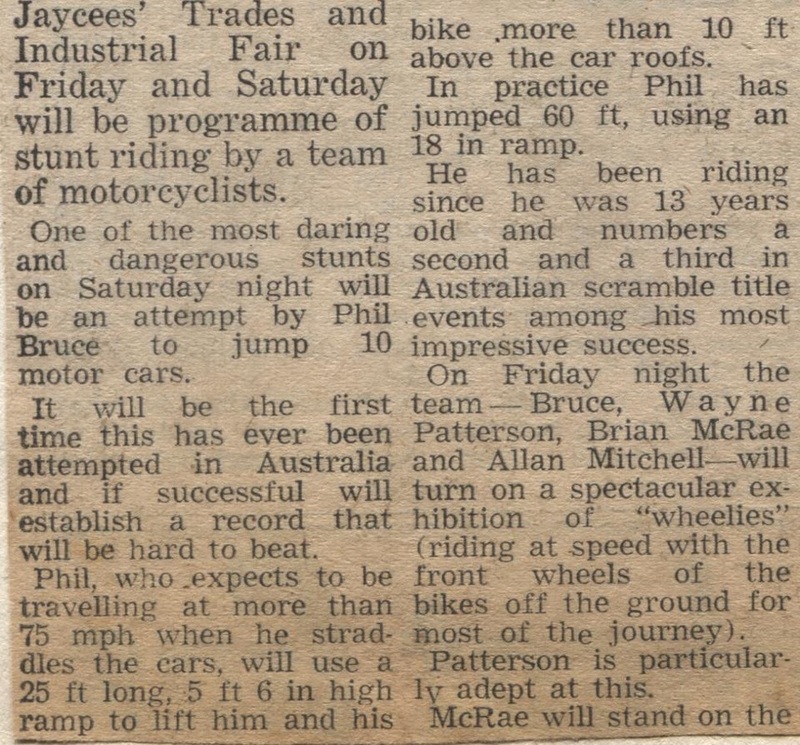 In the late sixties the Bunbury Lions Club who held the annual fair at the Bunbury Trotting Track also held motorcycle stock bike racing during the event. This was a one and only event. 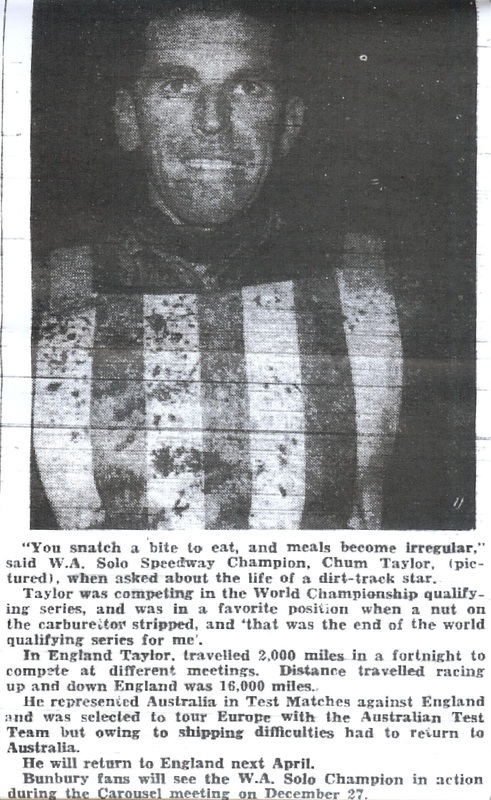 it was very successful and no damage was done to the horse track as the bikes all ran road type tyres, not the knobbly scramble type tyre.